Affirmative Investments, Inc. is proud to have worked on behalf of Conservatory Lab Public Charter school to close $12MM of NMTC Allocation and a $19.2MM tax-exempt bond to finance construction of a new school building that will house 275 students in Grades 3-8. The new building will be located at 395 Columbus Ave, just a few blocks from the planned Upham’s Corner Arts District and Conservatory’s school from grades K-2. 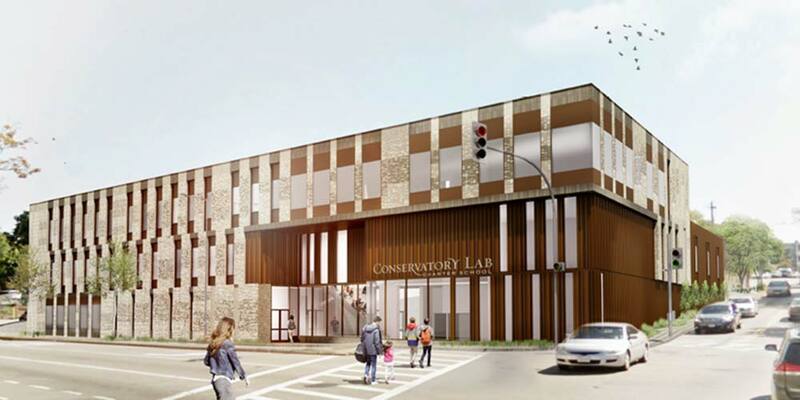 With the new facility, Conservatory Lab will have permanent homes for all of its grades and enrich the community with its unique music-based curriculum. New Markets Tax Credits were provided by Civic Builders and PNC Bank. Citizens Bank purchased the tax-exempt bond that was issued by MassDevelopment. Conservatory Lab’s new upper school will open for the start of the 2020-2021 school year.